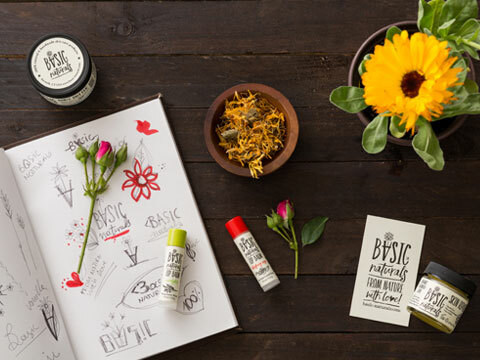 Basic-Naturals founder Yaniv Ben-David believes Mother Nature knows best. Likewise, personal care products should be produced only with natural , basic ingredients. In 2009 while biking in Israel, Yaniv touched a prickly pear – opuntia (cactus fruit) and released hundreds of glochids (short prickles) into his hands. He developed a serious and painful case of eczema (contact dermatitis). His dermatologist prescribed cortisone, a steroid, but Yaniv wanted a natural alternative. 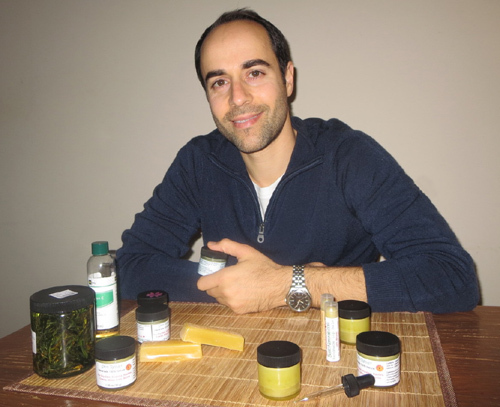 After four years of research and testing natural products, Yaniv Ben-David created his own cure: Skin Repair – Organic Calendula Salve, and Basic-Naturals.com was born. During a 2009 trip home to Israel and while mountain biking, Yaniv ran out of water and tried to open a local fruit for its juice. Although it contains a sweet refreshing fruit, the cactus plant “Sabra” (also a nickname for Israelis and in English, “prickly pear – opuntia“) is covered in tiny, hair-like prickles. With bare hands, Yaniv used a stone to carefully open a sabra, but its thorns stuck in his palms. He rubbed his hands together to dislodge them; instead, the thorns broke off and their tips remained under his skin. A couple of weeks later, Yaniv developed a rash on two fingers, which spread to all fingers and both palms. Initially he didn’t make the connection between the rash and the Sabra thorns. But after looking back at pictures before and after his ride and while zooming in on his hands, bingo! Yaniv found the culprit. Yaniv tried many different creams and treatments. None resolved the problem at its source. Over-the-counter cortisone cream and a couple of natural salves brought only temporary relief, but they were either expensive or dangerous for long-term use. Having returned to the U.S., Yaniv consulted many dermatologists. None was familiar with this type of cactus and each diagnosed eczema or contact dermatitis. Each advised cortisone cream, which is a steroid that treats skin conditions but not without possible side effects, such as thinning of the skin, stretch marks, and sleep and vision problems. For about a year, Yaniv Ben-David had itchy skin and sleepless nights. He awoke to soothe his hands with cold water and reapply whichever cream he was hoping would help at the time. It was a period of intense pain and even tears. Yaniv wanted to find a natural solution, but it was not easy especially with the frustration of the itchiness and his fatigue from disrupted sleep. After doing a lot of research while experimenting with different natural treatments and foods, Yaniv, who runs the blog Two Vegan Cooks with his wife, Danielle, came across the benefits of the Calendula (Pot Marigold) flower. His life changed. Calendula is commonly used to treat skin disorders such as eczema, rashes, diaper rash, minor burns, sunburn and more. Calendula flower is native to Mediterranean countries and now grown as an ornamental plan throughout the world. It is anti-bacterial, anti-inflammatory, and an antiseptic. Calendula is a key ingredient in many Basic-Naturals products. Yaniv learned how to make salves in his home kitchen. After many trials and errors, he produced a remedy and cured his longstanding pain and discomfort following the incident with the Sabra fruit. 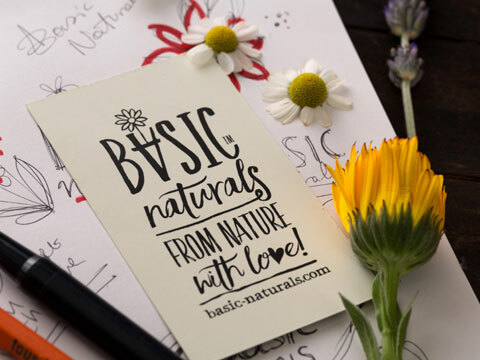 Basic-Naturals products are made following best practices of oil infusions (cold pressed method) of flowers and herbs into the oils using only the finest ingredients. Only organically grown flowers and harm-free organic beeswax, as well as high quality oils (first cold press), are used. Each container is sterilized before packaging. Seeing how happy family and friends were with the products, Yaniv decided to share them with the world in hopes of healing more people naturally…. just like Mother Nature teaches us to do !